Nationwide, only 1 in 70 (1.4%) 2008 Award recipients qualified as 2009 Award Winners. I'm sure that your selection as a 2009 Award Winner is a reflection of the hard work of not only yourself, but of many people that have supported your business and contributed to the subsequent success of your organization. Congratulations on your selection to such an elite group of small businesses. Also, a copy of the press release publicizing the two-time selection of Elegance Hair Braiding is posted on the USLBA website. 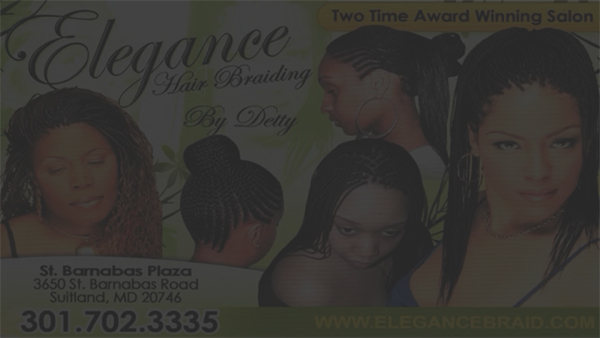 USLBA hereby grants Elegance Hair Braiding a non-exclusive, royalty-free license to use, reproduce, distribute, and display this press release in any media formats and through any media channels.